Laryn has more than 8 years of experience in Learning and Development as a facilitator and curriculum designer. 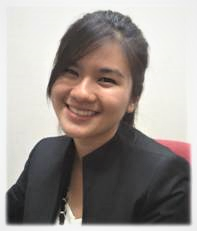 She has dedicated her career to this field of work since her graduation from Nanyang Technologies University. Her core areas of expertise include personal excellence, communication, leadership and organisational development topics. “Laryn has been our in-house trainer for professional skills program since 2015. Her area of expertise includes communication, relationship building and personality profiling such as TetraMap. Our functional team has benefited from TetraMap, in particular. Through the session with Laryn, we understand the personality type and interaction preferences of each member in the team. Our members mainly consisted of water elements. The knowledge help us connect with the overall team’s strength and potential areas to improve on. The session was engaging as we had interactive sharing which involved much laughter, making the learning experience very enjoyable.